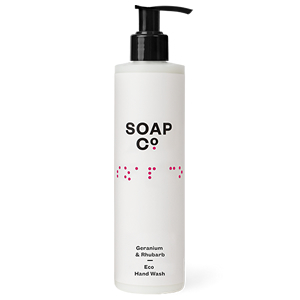 Zepbrook is glad to present you The Soap Co., a no compromise and award-winning ethical luxury soap and body care brand, handcrafted by people in the UK who are blind, disabled or otherwise disadvantaged. They have a commitment to positive social change and reducing environmental impact. 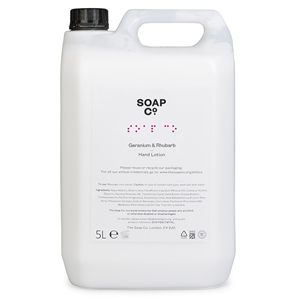 All bottles are sourced from the UK, their packaging is either recycled, recyclable or compostable and they recently launched a sulphate free and vegan, Eco & Bee Friendly collection, including body wash, shampoo and conditioner. With coverage in titles like Harper’s Bazaar, Tatler, Elle and Vogue, The Soap Co. is the discerning choice for businesses with a strong CSR and sustainability heart. 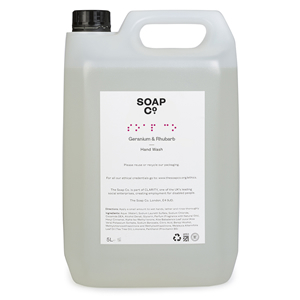 The Soap Co. products are now closer to your office! Get them tomorrow: order before 5pm if you’re in London (or the M25 area). Call us now on 020 8752 0110 or enquire online. This single bottle of The Soap Co. White Tea hand lotion is light and delicate and leaves skin smooth and soft with a lovely subtle fragrance. Featuring cocoa butter for rich moisturisation, pro-vitamin B5 for hydration and regeneration, soothing Aloe vera extract and healing tea tree oil. 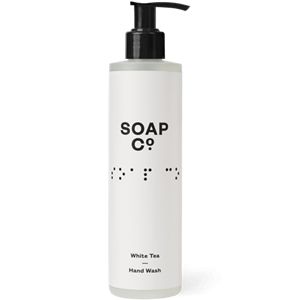 This single bottle of The Soap Co. White Tea hand wash is light and delicate and gently cleans away impurities, leaving a lovely subtle fragrance. Featuring pro-vitamin B5 for hydration and regeneration, soothing Aloe vera extract and healing tea tree oil.